Whether you’re into rock or blues, jazz or flamenco, there is no denying the unmistakable cool of playing guitar. Due to its versatility, portability, and the fact that it can play almost any type of music, the guitar is one of the most popular instruments to learn how to play. 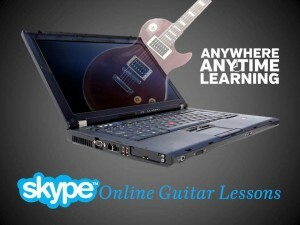 You can schedule your online guitar lesson with Skype whether you’re at home, work, or even when you’re travelling. Now you never have to miss a guitar lesson, and you can finally start to play the guitar the way you’ve always wanted to. This is exciting! If you’ve decided to start a new hobby and have put it off for years and years because of your busy schedule, now you can have your online guitar lessons anywhere, anytime at your convenience. Learning how to play the guitar can be an extremely rewarding experience and can give endless hours of enjoyment. We’re here to share our passion for music with you! Get personalized, private guitar lessons from a professional, trained instructor. Online lessons are perfect for everyone, no matter what your skill level. Our curriculum is geared toward helping you learn quickly. We’ll have you making that guitar sound good right after your first lesson! The guitar lessons you will receive with your guitar teacher will strengthen and condition your hands to create more strength and mobility. With practice you’ll soon be playing chords and rocking rhythms on the guitar. Chords, scales, songwriting, theory, and more, are some of the wide range of topics we can cover and discuss during your guitar lessons . There’s so much to learn and we’re here to help! Some adults fear that their age will prevent them from learning a new instrument – it won’t. 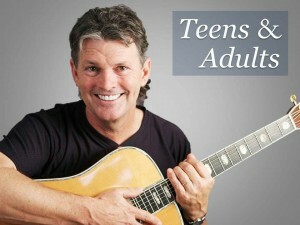 If you’re an adult who has always wanted to play guitar, now is the perfect time to start. 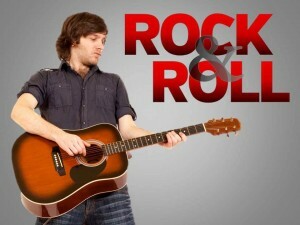 You’ll be amazed at how fast you can pick up the guitar and start playing the music you love! Our program is geared towards making guitar playing fun, exciting, and creative while still keeping its core focus on understanding music. You’re under no obligation to stay, but once you’ve had a glimpse of what you can do, you’ll want to! Sessions must be paid in advance and your payment must be processed before you schedule your session(s). All payments must be paid by credit card. You must cancel your session prior to 24 hours of your scheduled session. Failure to give advanced notice will result in the lesson begin forfeit. No refunds or make-ups will be offered. You will only receive the extent of the time you scheduled. If you sign in late in to Skype, your lost time cannot be made up. Please only pay for the amount of sessions you are sure you will use because there are NO REFUNDS. The sessions you purchase will expire in 1 year. It is recommended that you sign in to Skype 5 minutes prior to your scheduled session. Please make sure that you have adequate lighting to maximize video clarity. Please make sure to test your connection and equipment before your session. Your time will not be compensated for due to faulty equipment on your end. It is strongly recommended that you turn off any wireless devices that may interfere with your connection prior to your session. If there are interferences on the teacher’s end that inhibit your training, you will be compensated with the time you lost.